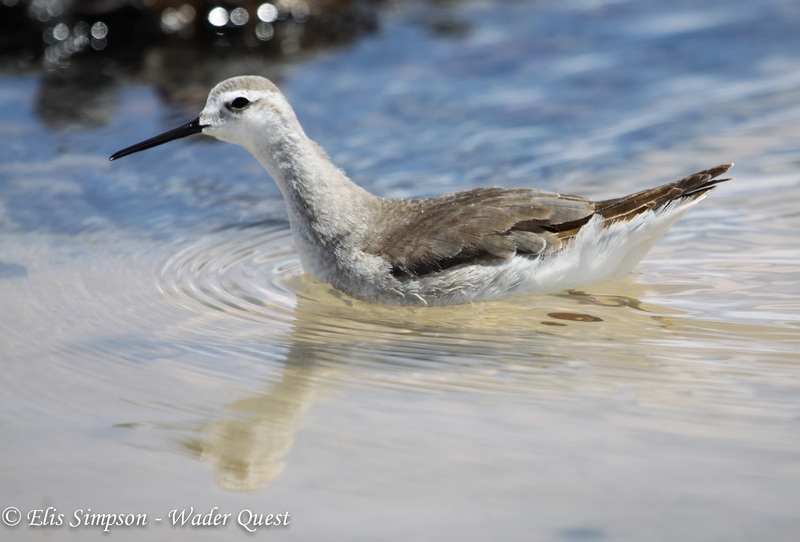 Wader Quest: Talk with a difference. We did a talk this week at the invite of The Parks Trust, a charity that tends to the open spaces of Milton Keynes and its nature reserves and does a splendid job of it at that. The difference was that this time we weren't to talk about our travels or wader conservation across the world, but the waders to be found in and around Milton Keynes. Now, as Milton Keynes is about as far from the coast as you can get you might think that this would be a very short talk indeed, but in fact there are around 40 species on the list for the area and some pretty incredible rarities among them. Introducing Wader Quest and our history. We were quite amused when we saw the advert for the talk which stated that the talk was about local waders and how to identify them to be given by 'a local expert'; and there was me thinking I was going to be giving the talk! Anyway I talked about the past glories of Willen Lake when the water levels were lower in the 80s and how the wader crown has now been passed on to the new site known as Manor Farm which had a great year last year including a Pectoral Sandpiper and Red-necked Phalarope among the usual suspects. My top story about the 80s was the occasion that I was on Orkney with Bucks county recorder and keen MK birder Andy Harding. We had gone north to twitch Needle-tailed Swift (White-throated Needletail) and Pallas' Rosefinch. The former we dipped on and the latter was an escapee. It was while we were there that we heard about a couple of Black-winged Stilts at Willen Lake. I think this is the only time the drive home was as anxious as the drive to a twitch! Thankfully the birds were still there when we got back. It has been some time since flocks of wader have been seen at Willen, there are still Common Redshanks and Eurasian Oystercatchers seen along with Common and Green Sandpipers, Common Snipe and of course Northern Lapwings, but the Curlew Sandpipers and Little Stints of old are few and far between although as recently as 2007 there was a Wilson's Phalarope there. Now though, if you want a chance to see a few waders, Manor Farm is your best bet. There are Little Ringed Plovers breeding there (5 pairs in 2014) and last year two young Common Redshank indicated that they may well have bred too along with Northern Lapwings and Eurasian Oystercatchers which produced 2 young. Little Ringed Plover Charadrius dubius. 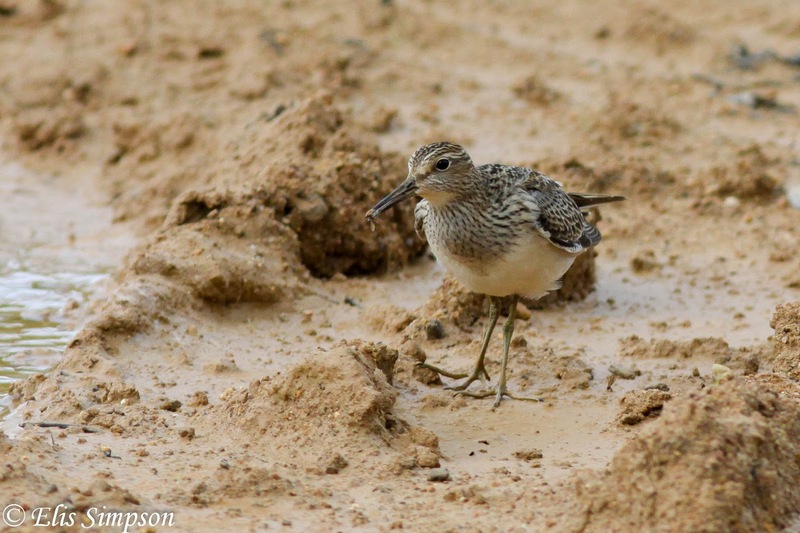 The list of waders seen at Manor Farm on the Autumn passage last year was pretty impressive and included both Black and Bar-tailed Godwits, Spotted Redshank, Ruddy Turnstone and Sanderling, Little Stint, Wood Sandpiper and Ruff as well as the aforementioned Red-necked Phalarope and Pectoral Sandpiper. We don't get the impressive swirling sky-dances of waders that those privileged to live at the coast see, but we do get a fair crack of the whip with the waders taking pity on us land-locked waderologists. Over the years, in addition to the species mentioned above, there has been Stone Curlew (last bred in Bucks in 1964), Pied Avocet, Common Ringed Plover, Kentish Plover (1981), Golden Plover, American Golden Plover (1991), Grey Plover, Eurasian Whimbrel, Eurasian Curlew, Eurasian Woodcock, Jack Snipe, Common Greenshank, Spotted Sandpiper (as recently as 2011), a Purple Sandpiper (1977), Dunlin, Red Knot, Temminck's Stint, and Grey Phalarope. Enough to keep us busy enough and sufficiently happy.